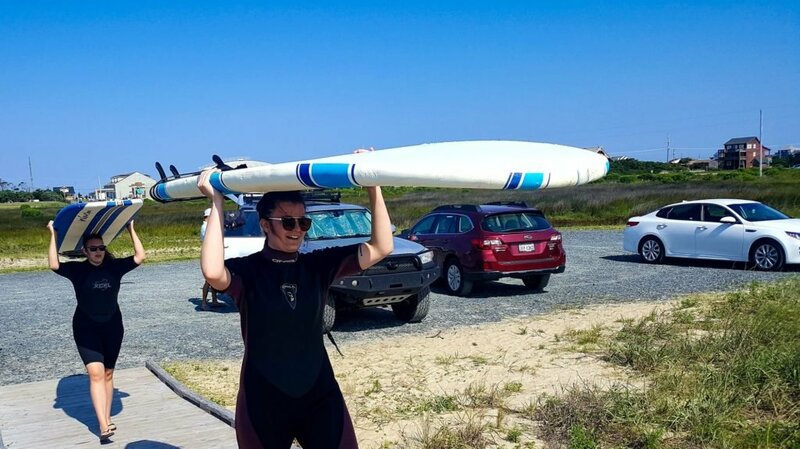 My son learned to surf last year in Mexico so when my daughter learned we were heading to the ocean for a week, she wanted to learn to surf in the Outer Banks. 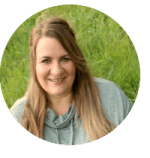 This is their experience, told by my daughter, Chelsea. Caution: don’t go into the ocean. When you think of the ocean, what is the first thing to pop into your head? I think everyone can agree. But, I’m getting ahead of myself, let’s continue. My family recently took an amazing, (mostly) relaxing, and all around great trip to the Outer Banks. 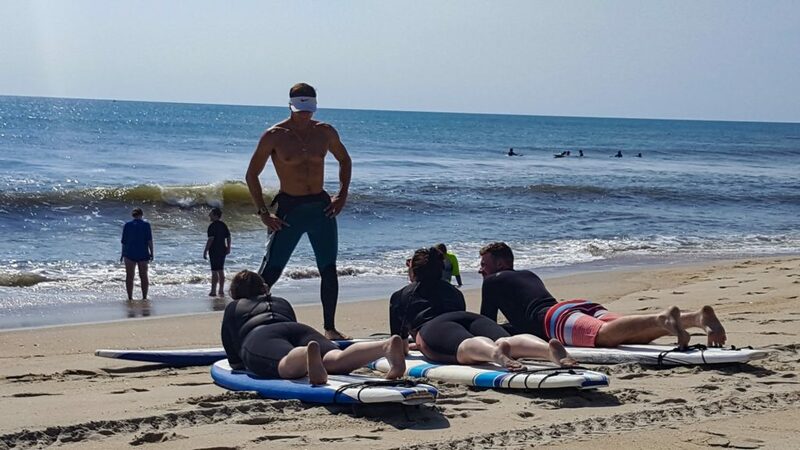 Lots of fun activities were planned, one of my favorite being surf lessons in the Outer Banks! Anyone who knows me knows struggle happens to me on a daily basis, which eventually turn into great stories but in the moment are flippin’ scary or flippin’ embarrassing. 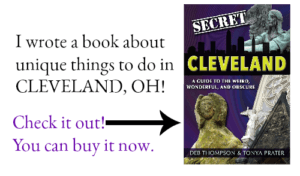 This story is a mixture of both. I’m one of those people who will try anything once, I definitely don’t want to miss out on anything! But, I’m honestly scared of pretty much everything, I act pretty brave and definitely don’t let this stop me because who wants fear to run your life and cripple you to amazing opportunities? We met our surfing instructor at Kitty Hawk Kites in Rodanthe (which has super cute sweatshirts if you’re ever in the area). From there we drove to our surfing location right down the street and suited up in the wetsuits and grabbed our provided boards before trekking onto the beach. We briefly practiced getting up on our boards on the beach, which took all of five minutes and then we went straight into the ocean. I guess I thought we’d practice a bit longer but practicing on the beach was a bit awkward and I knew I was going to be awful no matter how much practice I had. I snowboard in the winter and figured surfing would be like snowboarding so I wouldn’t have much struggle. Let me tell you, surfing is not like snowboarding in any way. The general form is the same, but other than that they’re nothing alike. Obviously while surfing you have to go out a little past your ankles. 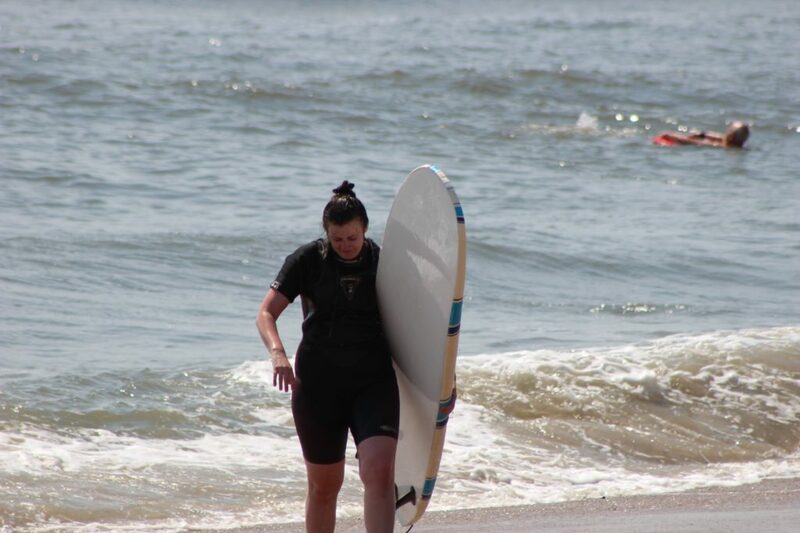 I didn’t even have time to be fearful because our surfing instructor was super great and led us straight to a sand bar about 30 – 40 feet offshore so that we were able to touch the bottom when we fell off our boards. Which pretty much happened repeatedly for the next 90 minutes. When I wasn’t assaulted by the waves I was using all my arm strength to get back to the group. But again, our instructor was amazing and ensured we were all having a great time. When he realized Liv and I were absolutely exhausted from paddling he would pull us back to rejoin Nickolaus. It probably sucked for him to pull two grown women through the ocean, props to him for that. We were all having a great time. We were hitting some waves, attempting to stand up and ride a wave, drinking plenty of salt water and laughing at how awful we were. Liv and I were taking a short breather before paddling out again, we were just lying on our boards watching Nick board when all of a sudden I see something move in my peripheral vision. Guys, it was like a scene out of a movie or something. It was a gray fin. Short little side note: My mom makes fun of me for this, but when I’m in high anxiety situations like any adult would, I close my eyes. I don’t know why maybe because if I don’t see it it’s not there? I don’t know the reasoning behind this, but this situation was no different. I close my eyes for a hot minute, pretend like I didn’t see this fin and try to continue with this conversation Liv and I were having. But, this thing wasn’t going away, the fin popped back up closer than before and I was out. It was no further than about 6 feet away. WHAT?! I calmly look at Liv and say “shark!” You wouldn’t have known we were exhausted by how fast we were paddling back to shore. Okay, I understand that reasoning, but didn’t a sting ray kill Steve Erwin? 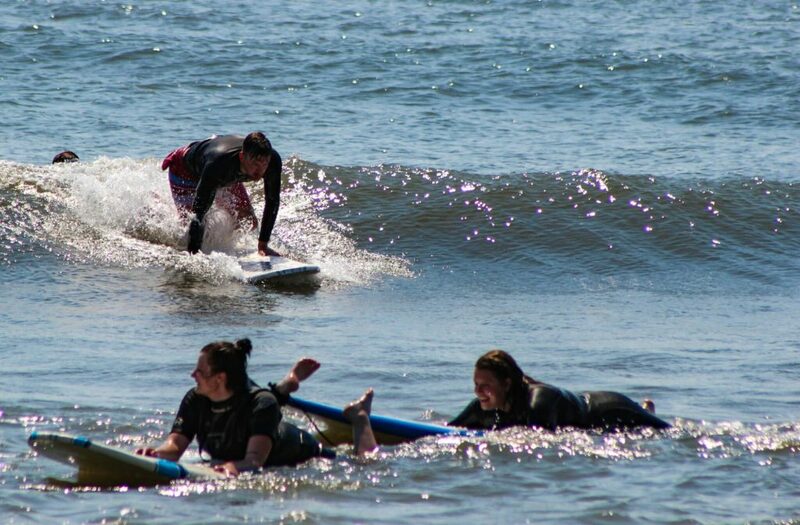 Liv and I were pulled back out to continue surfing. And every time I fell under water I pictured those creepy sting ray faces! I fed sting rays in Cozumel, I did not enjoy that experience and I had no intention of swimming with the creatures. I finished up my surfing session without any incident while Liv, on the other hand, came very close to dying (yes, I am THAT dramatic). The sting ray apparently stayed near us the entire time and on her last wave not one but two sting rays came poppin’ right out of the water right in front of her! Needless to say after that we were all finished. All in all surfing was the highlight of the trip, our instructor, Zach was very patient with us, (even when he was asked if he had ever watched Rocket Power…) taught us thoroughly, assisted us in getting the best waves we could handle, and made sure we were all having a good time. 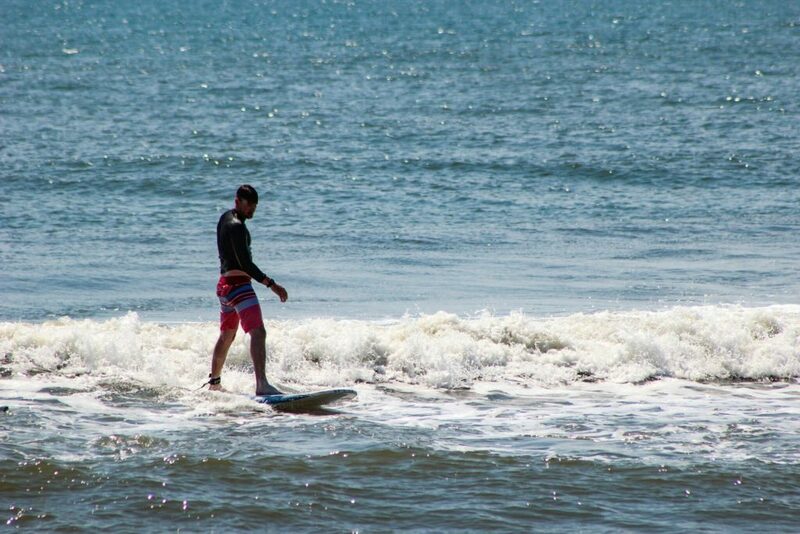 If you’re ever in the area and want to have an adventure, I highly recommend you learn to surf in the Outer Banks. Hit up Zach through Kitty Hawk Kites or OBX Surf School, you won’t be sorry! 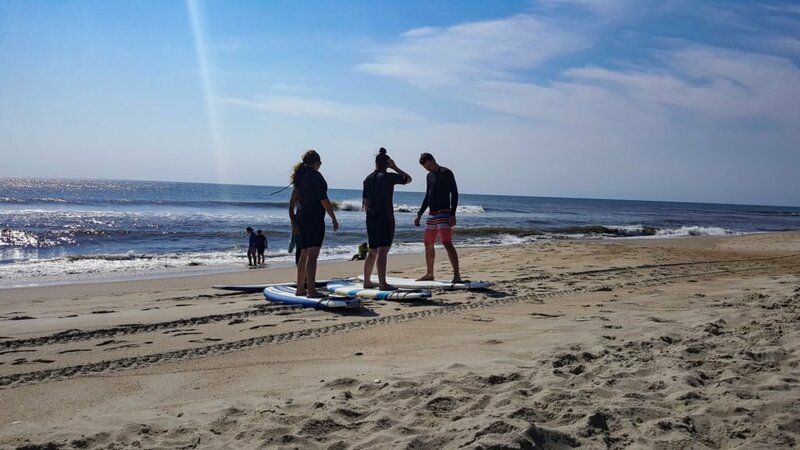 Thank you to the Outer Banks Visitor Bureau for arranging and providing surfing lessons for the kids. 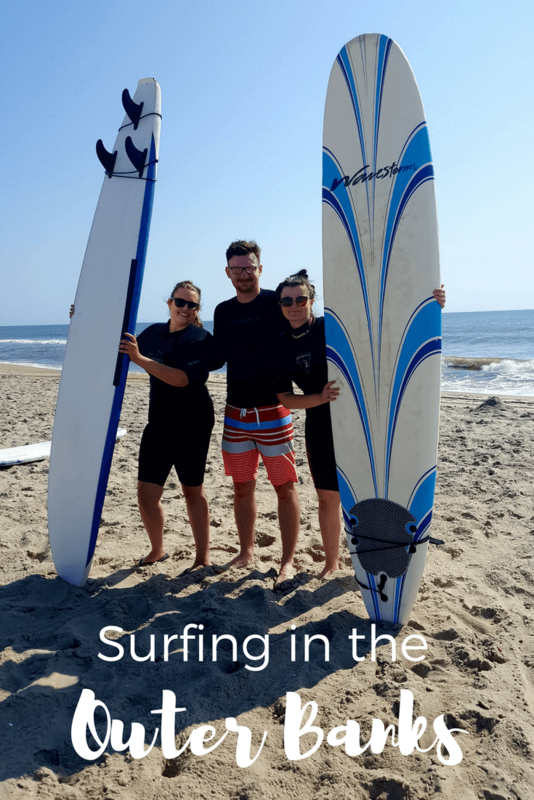 Surfing lessons were offered by OBX Surf School and one of the head instructors, Zach Knapp. Zach has over 20 years’ experience, is CPR/FIRST-AID certified and an expert in ocean safety. He’s also incredibly patient and passionate about surfing. 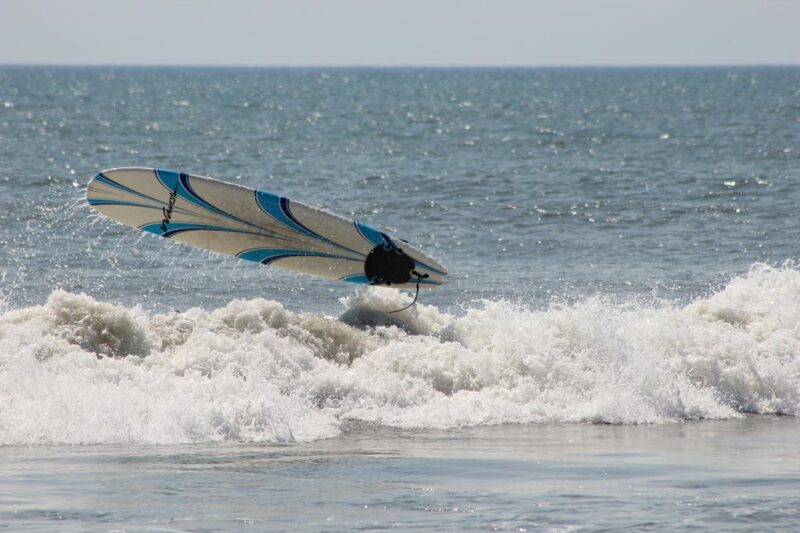 OBX Surf School offers group and private lessons and is available to meet you at your vacation rental for lessons. They also provide a photographer, Sam Sykes, who can photograph the lesson or provide video footage for an additional fee. He got some great shots and we did buy the photo package that Sam provided (though the photos used in this post are my own). © 2017 – 2019, Chelsea. All rights reserved. We did this at Waikiki Beach many years ago with our entire family. Though I pretty much made a fool out of myself, my kids had a great time!